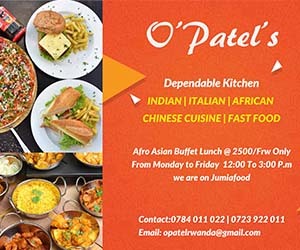 The Rwanda National Police (RNP) has launched a month-long countrywide community development and anti-crime awareness activities as part of its 17th anniversary. The activities under the annual ‘Police Week’ flagship were launched yesterday in the Eastern Province (Kirehe District) and the Northern Province (Gicumbi District). The official launch drew senior government and security officials, and thousands of residents all meeting at a special Umuganda on both sites where about 10km of roads were constructed and others rehabilitated. There was also official handover of solar systems, clean water sources and improved sanitation kits. At least 117 households received solar systems in Rugarama village of Giti Sector in Gicumbi and 155 others from Nyamikori village in Kigarama Sector of Kirehe district. RNP also plans to install solar systems onto over 3000 households and 30 health centres countrywide. With four clean water sources inaugurated in Kirehe, it will serve about 500 households that were in need. Other activities in both districts focused on raising awareness against illicit drugs, owing to the fact that both districts are known to be major routes for drug dealers. In Kirehe, the Minister of Local Government Francis Kaboneka, who presided over the event held in Nyamikori, Cyanya Cell of Kigarama Sector, appealed to the residents and beneficiaries in particular to protect and sustain the infrastructure in the area. “Light and evil don’t move together; the solar energy you have been given should further supplement your development activities as you continue to be agents of safety by fighting anything that can cause insecurity and affect your peace,” Minister Kaboneka said. The Minister also emphasised the role of parents and bar owners to restrain minors from consuming alcohol, which is against the law. 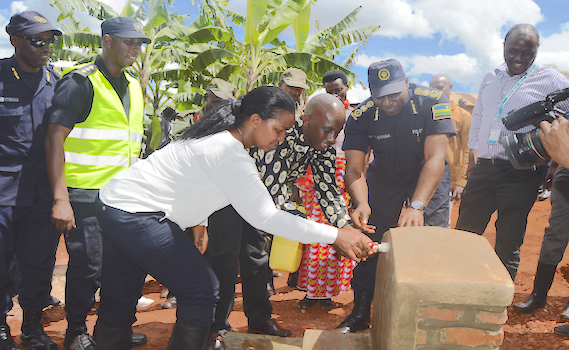 Inspector General of Police (IGP) Emmanuel K. Gasana said that because of the existing partnership in policing with the people, it partly paved way for the current status of development, which RNP continues to build on in terms of support community development. “This is a time for police to reflect on the success made in the fulfillment of our mandate, but also time to also lay strategies sustain our achievements and stop repeat or new crimes,” IGP Gasana said. Meanwhile, in Gicumbi, RNP was joined by thousands of residents, who converged in Giti sector where they created a feeder road in Rugarama village of Gatobotobo cell that connects Giti and Rutare sectors. State Minister in the Ministry of Infrastructure, Germain Kamayirese, who officiated at the launch in Northern Province, embarked on the role of residents to break chains of illicit gin supply, which is still a challenge in the district. “The solar energy, roads, clean water that police gave you is all meant to improve your social wellbeing and ensure sustainable security and development. However, we still have the obstacle of illicit drugs, which we should all address and report dealers,” the State Minister said. Illicit gin worth Rwf38.8 million were seized and destroyed in Gicumbi in the last two months alone. Meanwhile, other dignitaries who attended included governors, division commanders and district mayors. In line with crime prevention, the Police Week 2017 will mainly focus on raising awareness against narcotic drugs, gender based violence and child abuse, corruption, genocide ideology, human trafficking, fire outbreak, environmental degradation and improving road safety. Earlier on, local artistes under their association, ‘Crime Ambassadors’ and RNP donated building materials and foodstuff to Mukarukaka Madeleine, a vulnerable genocide survivor in Kirehe Sector.